A look at an Adventure game that secretly wants to be a puzzle game. On my quest to try out all of the adventure games that the DS has to offer, I have played many games. 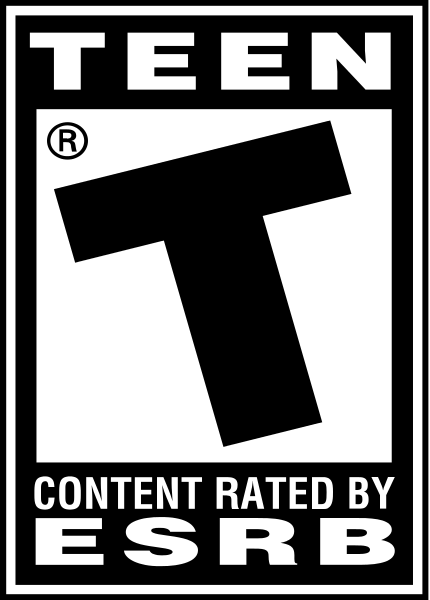 Some were exciting and different like Theresia, and others were a bit bland, like the first Jake Hunter game. When it came to checking out a little budget game called Unsolved Crimes I was a bit worried, as budget games are hit or miss sometimes. One thing is very apparent after beating this game: you are either going to love it or hate it. For me it really boils down to how you approach the game. In Unsolved Crimes you take the controls of a fresh-faced rookie cop who is seemingly given some busy work poring through a stack of unsolved crime cases. As a member of the New York Homicide Division, you are ushered into a silly and almost parody version of the 1970s detective scene. You are then paired with an attractive female partner, who has seen her way around a few cases, and a hard-boiled boss who always complains about his home life and the way his detectives work. What follows are thirteen cases and one large kidnapping case that you are tossed into because of your connection to the victim’s sister, your new partner. First and foremost, the writing in Unsolved Crimes is not very good. I don’t know if I was looking for the seemingly unending dialog trees or quirky characters found in games like Phoenix Wright or Hotel Dusk, but there is something really sub par about it in this game. Most dialog between characters boils down to bad cop movie clichés and other nonsense. Then again there really aren’t that many characters to speak to as most of the investigation ironically happens off-screen. Case in point, you are always off-screen whenever a suspect is interviewed, and given a paper that tells what they said. So by the end of the game, you really get to know your clichéd boss and assistant, but that’s about it. The standard case breaks down in a few parts. First you are given a briefing by your boss using a chalkboard. This lays out the time of death, any witnesses, murder weapons if they are known, and suspects. This part was pretty creative and was a nice touch. Next you navigate your character into a first person view out of the office and you are transported to the crime scene. Here, as expected, you begin your investigation. This part was weird as it began with a “READY?! 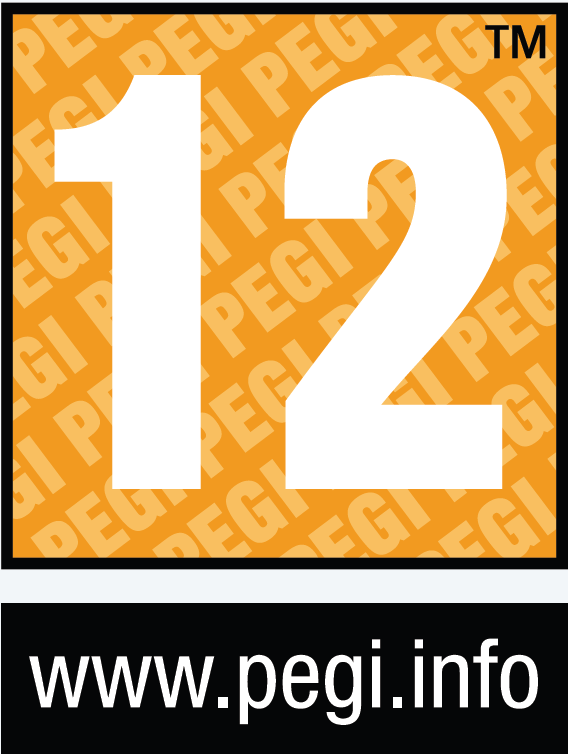 …START!” dialog, which is your first inkling that this game is more of an arcade puzzle game than a true adventure game. In fact during each case, you are even timed and given a grade based on how fast you pull the case off, rather than how thorough the investigation was. As you find clues, you trigger “queries” where you and your partner logically talk everything out and make connections. Each case has anywhere from 10-20 of these. If you reach the right conclusions you then proceed to report to your boss and the case pretty much solves itself. The problem I had with this setup was that you hardly do any real detective work. Sure there are instances where you feel like Sherlock Holmes, like when I noticed that glass was covering a body proving that the glass was shattered after he was killed, but these are few are far between. This is because the game holds your hand the entire time, and guides you through one of the most linear experiences I have played. Most of the time your partner speaks to you about the case as if she is in an episode of Dora the Explorer, asking questions like “what was written on the knife?” followed by four multiple choice questions, of which three usually are obviously wrong. Since the cases are run like this, you begin to feel less like Sherlock Holmes, and more like someone’s little brother attending their parent’s “bring your kid to work day”. Since the case pretty much solves itself without you having to talk to anyone, this game is far too easy. The game does have some nice puzzles such as piecing together a torn up piece of paper to find out what it says, or using sprays to find blood traces, but I’ve done stuff like that in other games, and it was implemented better there. The game's overall interface was really good, in contrast to the overly easy cases and the shoddy writing. You have an evidence screen that rivals even the Phoenix Wright games, with your suspects, motives, evidence, and even a notepad you can write on. Aside from this the game is presented in three dimensional polygons that you move around using a combination of the stylus and face buttons. If you see a clue, or want to open a door, you just double click the object. As with other budget games the art direction seems to be a bit off. The textures are all drab and dingy consisting of numerous shades of brown. Because of this, things don't pop like they should sometimes. On the musical front, I can’t really praise or complain. The music is less than memorable, almost like elevator music, but it gets the job done. I have come to the conclusion that you can look at this game from two angles, and these situations will probably determine if you will like the game or not. 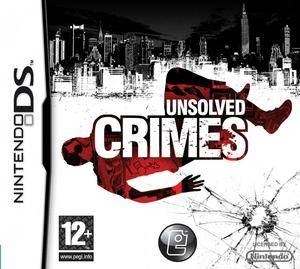 If you take the game as an adventure game, Unsolved Crimes is pretty mediocre, and almost could be seen as a introduction to the genre for gamers that could be scared to try one. The story is nearly non-existent and what there is in all honesty is just window dressing, the game is bland, and far too easy. 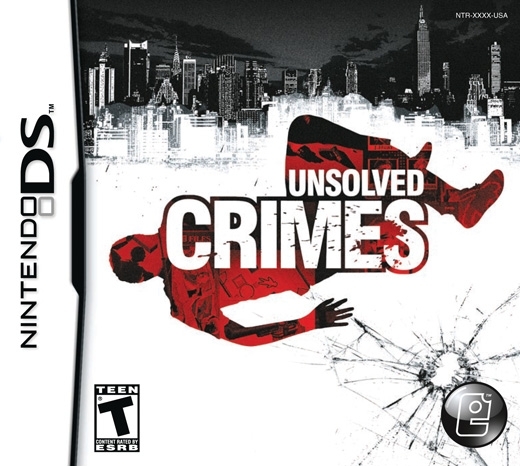 But if you look at the game in a similar vein to games in the “Touch Generations” series like Brain Age, Unsolved Crimes would be a great experience for an older gamer looking for a quick bit of crime scene investigation. The game is forgiving, not pretentious, or artsy in any way, and it gets the job done. Unsolved Crimes lasts something like 4-5 hours with little extra content to explore (other than character bios) for less than twenty bucks. This can be understandable as this is a budget game, but coupled with the fact that once completed the linearity of the game makes any further playthroughs redundant, replay value is in the cellar. Because of this, Unsolved Crimes is only worth checking out for diehard fans and people wanting more of a quick puzzle game.